Sky wide and scaled to the wings of the imagination. 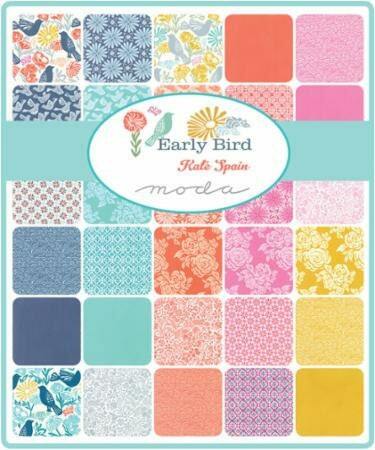 Early Bird by Kate Spain is dedicated to those who rise before the sun and seize the day. Filled with folk art inspired birds and coordinating floral patterns, Early Bird is alive with the energy, light and colors of the dawn. Early Bird is for new beginnings and for new creative adventures that also encourage you to stop and smell the roses.